Vermont Soap is Good for your Skin!! Organic Soap is Good for your Earth!! As you may know Japan has recently been hit by a terrible earthquake, tsunamis, and now battling with stabilizing a damaged nuclear plant/reactors in Fukushima. Countless people are still unaccounted for- and others still without home, food, shelter, and peace of mind. Rescue workers are working around the clock and the people of Japan are doing everything we can do to help in the aftermath of these unimaginable disasters. We would like to thank everyone around the world for your concern, help, and support in these trying times. It's hard to put into words just how grateful we are to everyone and especially our friends at Vermont Organic Soapworks for their ongoing communications, heartfelt messages, and helpful advice throughout this disaster. 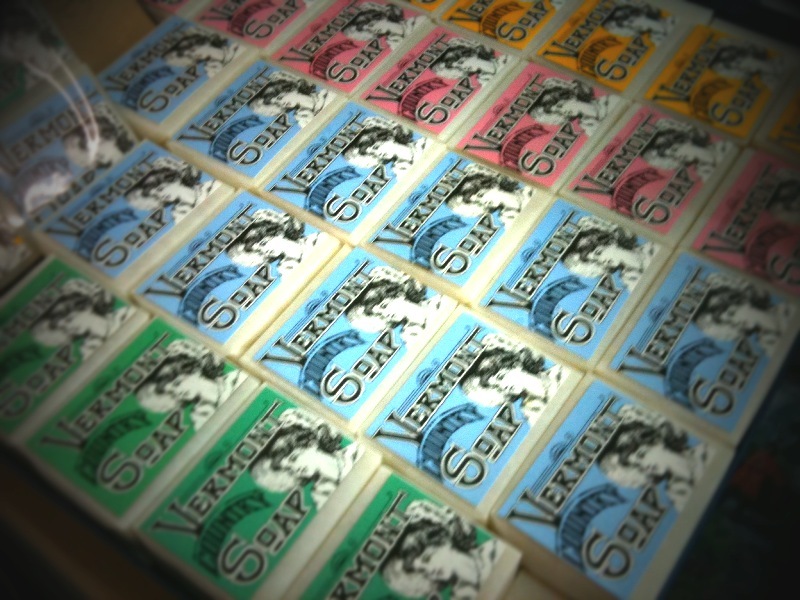 We represent Vermont Organic Soap here in Kobe, Japan. We also specialize in supplying healthy, local food for school lunches. School lunch is mandatory here in Japan and unfortunately the recent series of disasters has had large impact on food makers, suppliers, farmers, and fishing all across Japan. Mother Nature has always provided us with an abundance of seafood and seaweed- which are strong staples in our everyday diet. Recently it has become apparent that the effects of the radiation from the Fukushima nuclear reactors are reaching into Japan's food supply- contaminating spinach, leafy greens, and unpasteurized milk. Food grown and raised near the Fukushima nuclear power plants has been deemed inconsumable and large amounts of milk and vegetables are being disposed of at present. Now, we must re-address how and where we can find good, healthy, un-contaminated food to feed our people, and our school children. At Nigaki/ Vermont Soap Japan, we are now looking to new alternative food suppliers. We feel that this is yet another dire issue threatening the well-being of our small island nation. It is true- we are what we eat. We must find safe food to feed our people. Thanks again to all for the useful information regarding the benefits of consuming miso soup, seaweed, and kelp to prevent dangerous effects of radiation exposure. We now realize that it's essential for us to look back to our roots and the naturally healthy base of the Japanese diet. Not only do we need to re-think healthy food, nutrition, and our physical health; but we need to find the best way to prevent radiation exposure not only externally- but also through what we eat. Now more than ever- we are looking to organic solutions for our bodies, our skin, and our peace of mind.